Television today is a virtual wasteland of programming. If one takes the time to examine the current programming lineup for the “Big 4” and even the cable spectrum reveals that dramas and reality shows are the biggest draw for most of those networks right now. The comedies that are there sadly lack the heart of the comedies crafted from television’s golden era up until about the mid to late 90s. They have all become oversexed and dumbed down. And the news magazines all seem to be dominated by stories about murders. 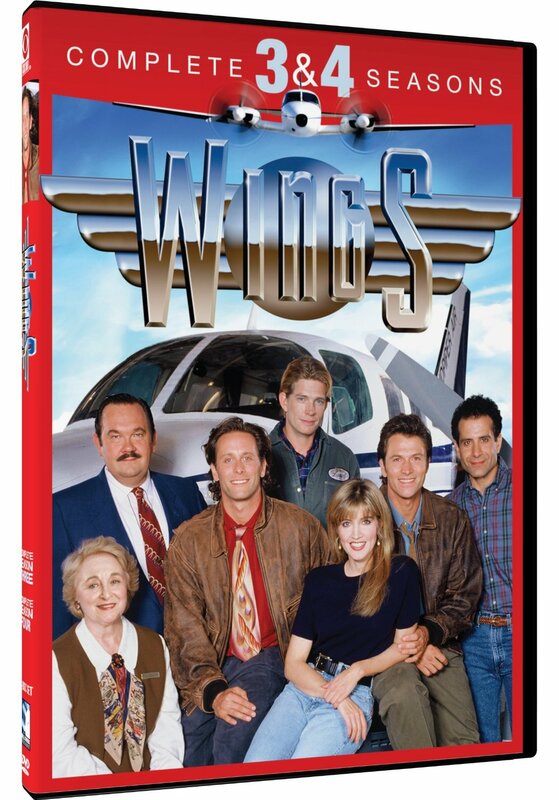 Taking into consideration what has happened to television today, Mill Creek Entertainment’s re-issue of Wings: Seasons 3 & 4 early this year becomes quite the welcome box set. Seasons 3 and 4 offer plenty more laughs for viewers. For all of the enjoyment offered in the box set’s five discs, the set isn’t without one glaring fault. It is the same fault that has hindered each of Mill Creek’s box sets. Luckily, that one fault isn’t enough to take away from the one other positive to this season, which is the inclusion of a young Tony Shaloub to the show’s cast as well as celebrity appearances from members of the Cheers cast and other well-known figures. The good and the bad taken together here, Wings: Seasons 3 & 4 proves to be an easy candidate for a spot on this critic’s list of the year’s best new box sets for grown-ups. Mill Creek Entertainment’s release of Wings: Seasons 3 & 4 is an easy candidate for a spot on this critic’s list of the year’s best new box sets for grown-ups. The main reason for that is the show’s writing. The series, which was co-created and produced by Cheers staffers David Angell, Peter Casey, and David Lee, proves in its third and fourth seasons to still have more heart than any of the sitcoms currently on television today. A look at the writing in these two seasons proves that. The series’ writers managed to do something in these two seasons that few if any writers have managed to do in recent years. They managed to balance the series’ story lines so as to not let its serial side overpower its standalone side. That balance is just as visible in Cheers. So it should come as no surprise that it is just as stable here. In terms of the show’s more serial-centered side, the relationship between Helen and Joe will keep viewers laughing through every episode. ‘Ladies Who Lunch” is one of the best of those episodes. Helen and Gail, Joe’s ex and his current girlfriend hang out and end up becoming friends. Ironically, Gail ends up breaking up with Joe in the process. On the other side of things, there is the two-part story arc that sees Antonio trying to get his green card. That arc is made up of the episodes “Marriage, Italian Style” and “Divorce, American Style.” The two episodes together make up what is a time honored storyline used in so many sitcoms before and after. As many times as it has been used even before this case, these two episodes are just as funny as those of any of those noted series. The ability of the show’s writers to balance the series’ serial elements with its standalone elements is just one part of what audiences will appreciate in its third and fourth seasons. Audiences will appreciate the writing itself in terms of its jokes and story lines. The jokes and story lines incorporated in the third and fourth seasons of Wings should not be omitted in examining what makes these seasons work so well. Audiences will enjoy the writers’ homage to I Love Lucy in Season 4’s episode “I Love Brian.” Brian badmouths I Love Lucy because of the show’s writing. Yet he ends up taking part in an equally bird brained scheme in order to meet country singer Clint Black (who makes a guest appearance for the episode) and impress a woman. In “Goodbye, Old Friend,” Lowell loses a dear friend. Even in his grief, he provides his own share of laughs as he goes through the five stages of grieving in a matter of a minute if that. The timing of that moment along with Brian’s (Steven Weber) statement that Lowell would go through the stages over months makes it an especially lighthearted moment. At the same time though, Lowell is still struggling with his feelings at having lost such a friend. His final gesture for his friend makes the episode whole and will warm any viewer’s heart. These are just a couple examples of how the actual writing in Seasons 3 & 4 makes these two seasons even more welcome additions to the library of anyone looking for a break from all of the over sexed and overly violent programming out there today. Together with the writers’ ability to balance the show’s serial elements with its standalone elements, it is even more a welcome respite from those shows. So much was done right with Wings in its third and fourth season n terms of its writing. For all of those positives, this recently released box set is not without one glaring fault. That glaring fault is the box set’s packaging. All five of this set’s discs are set one on top of the other on a single spindle inside the case. This creates a certain amount of difficulty in pulling the disc of choice by viewers. It also increases greatly the likelihood of the discs scratching themselves. This is a major issue that Mill Creek has yet to address even to this day. And until it fixes the problem, that poor manner of packaging is going to continue to cause Mill Creek to trail its “big brothers.” Luckily, it isn’t enough to take away too much from the overall enjoyment taken from the series’ writing or the last factor worth noting in this set. That last factor is the celebrity guest appearances made throughout Seasons 3 and 4. The celebrity guest appearances made throughout the third and fourth seasons of Wings round out the package in whole and make these two seasons all the more worth the watch. Seasons 3 and 4 see some of the cast members from Cheers make appearances along with other celebs. Kelsey Grammer and Bebe Neuwirth make an onscreen appearance as Dr. Frasier Crane and his wife Lilith in one episode, while fellow Cheers alumnus Kirstie Alley also makes an appearance alongside country superstar Clint Black in “I Love Brian.” Oliver North and William Hickey (Prizzi’s Honor, The Nightmare Before Christmas) also make appearances. The fact that the series could garner such star power was by itself a major statement of faith. It was a statement of faith in the series. That faith combined with the series’ solid writing to make it just as much a fan favorite then as it will be now in its latest re-issue by Mill Creek. And audiences will agree to all of that when they purchase this five-disc set themselves. Wings: Seasons 3 & 4 is available in stores and online now. It can be ordered now direct from Mill Creek’s online store here. More information on this and other releases from Mill Creek Entertainment is available online through the official Mill Creek Entertainment website and Mill Creek Entertainment Facebook page. To keep up with the latest sports and entertainment reviews and news, go online to the Phil’s Picks Facebook page and “Like” it. Fans can always keep up with the latest sports and entertainment reviews and news in the Phil’s Picks blog. Sony Pictures’ Men in Black franchise has finally returned to form with the release of the third movie in its franchise. Whereas the franchise’s second movie dropped flat with audiences, this second sequel has brought the movie’s fun and action back. Given, the whole time travel/alternate timeline bit has been done far too many times in both movies and television. And there are far too many sequels, prequels, and remakes out there today. But this is one of those rare sequels that can be forgiven. It has brought the MIB franchise back to where it should be. MIB 3’s bonus “Making of” featurette does a good job of explaining what exactly it is that made this movie at least somewhat successful. Director Barry Sonnenfeld explains that the movie isn’t so much about the time travel, but about the secrets of the relationship between Agents “Jay” and “Kay.” Having an understanding of this helps to be more accepting of the time travel/alternate timeline bit that is otherwise far too overdone in the science fiction genre. Audiences will find the relationship especially heartwarming in the story’s final moments in understanding this, too. It’s those final moments that really bring the entire trilogy full circle and hopefully will mark the end of this movie property. The story of the relationship between “Jay” and “Kay” makes up for the otherwise dull and done to death time travel plot. It’s only part of what makes this movie bearable. 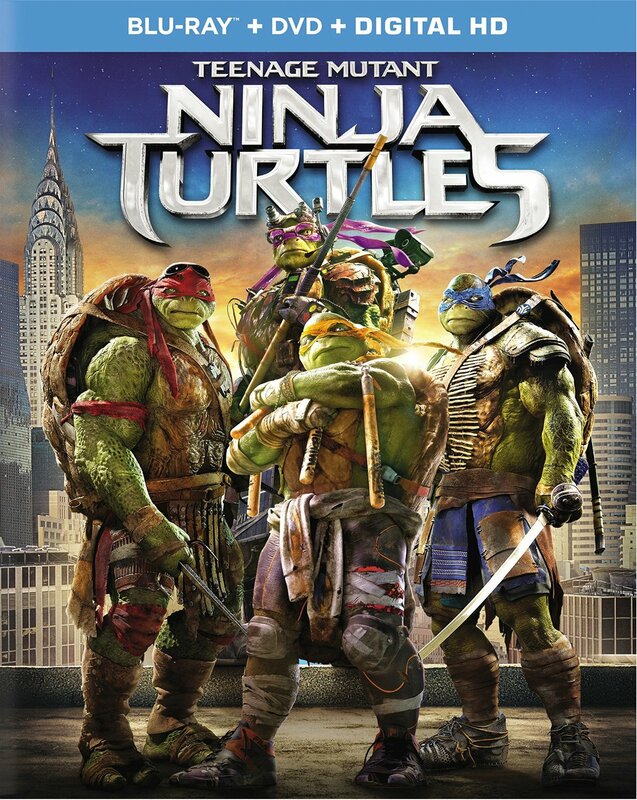 This movie gets everything right that the second movie in the trilogy got wrong. Whereas the second of the MIB movies was simply not believable and focused far too much on melodrama, MIB 3 brings back all the aliens, gadgets, and action that made the first of the MIB franchise so fun. Also, since it does everything that MIB did, it is also much easier to suspend disbelief. That is the center of everything. The gadgets, aliens, special effects and action were fun. But it’s that believable storyline between “Jay” and “Kay” that makes MIB 3 what it is. Instead of a standard romance subplot, this story evolves the partnership/relationship between “Jay” and “Kay” and this makes them as characters more believable. By the story’s end, audiences who allow themselves to believe the relationship between “Jay” and “Kay” will see that while it may not be the most memorable of movies, it is still one that’s fun and funny for everyone.